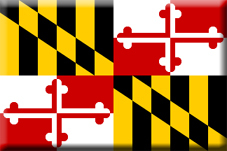 Maryland was started by the Calvert family being granted permission to start a colony by Charles I. 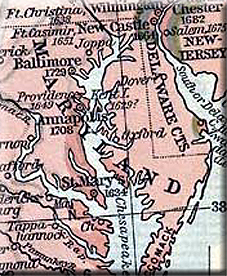 Unlike most of the other Prtestant colonies, Maryland's proprietor was the Catholic Lord Baltimore. The religious politics back in England were complicated with both hardline Protestants and Catholics feeling persecuted by the Anglican establishment. It was thought that Charles I was sympathetic to Catholicism but regards for his throne prevented him from openly declaring any such thoughts. Giving this grant to Lord Baltimore was one way that he could ease his religious conscience or to appear conciliatory to Catholic elements in his kingdom. Indeed, it is indicative that the colony was named after Charles' Catholic wife, Henrietta Maria. The Royal Charter granted that the new colony was to be bounded on the north by the fortieth parallel, and on the south by the southern bank of the Potomac, while the western boundary was to be the meridian passing through the source of that river. 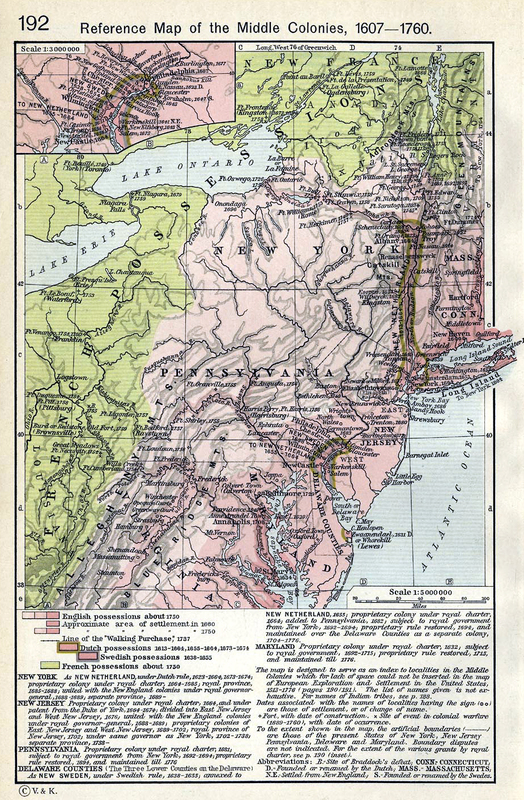 The vague western boundary would later bring the colony into conflict with Pennsylvania and Delaware. It should be said that the proprietor's powers were unusually wide in their scope. He could not tax his people without their consent, but he could coin money, make war and peace, pardon criminals, establish courts, and grant titles of nobility. It was almost a feudal territory. However, Lord Baltimore could not isolate his colony from the democratic nature of the surrounding colonies and representative ideas did seep into Maryland over the years. Soon, the proprietor was having to rule with consultation of the freemen of the colony. Religious toleration became an important issue for the colony. Although being set up to help persecuted Catholics, the sheer quantity of Protestants in the New World meant that the colony had to tread very lightly on all religious sensibilities. Lord Baltimore let it be known that Catholics and Protestants alike were welcome to settle in the colony and would have their religious freedom respected. In fact this religious toleration became essential as the mother country of England descended into a Civil War centring around the role of religion in the English state. It made perfect sense for the colony of Maryland to pass a Toleration Act in 1649 - the year that King Charles was beheaded. In fact this act pre-empted and allowed the colony to survive an attempted Puritan takeover of the colony in 1652 which was even achieved after a small battle at Providence (Annapolis). Cromwell actually over-ruled his own Puritan supporters and insisted that the Toleration Act be reinstated and the government returned. The colony was unusually enlightened in its dealings with the Indians. The authorities insisted on paying for all land occupied and respected the rights of ownership of the Indian tribes. The respect afforded by both sides can be attested by the almost total lack of conflict between settlers and Indians in the colony. This could not be said of most of the other European colonies in the New World. 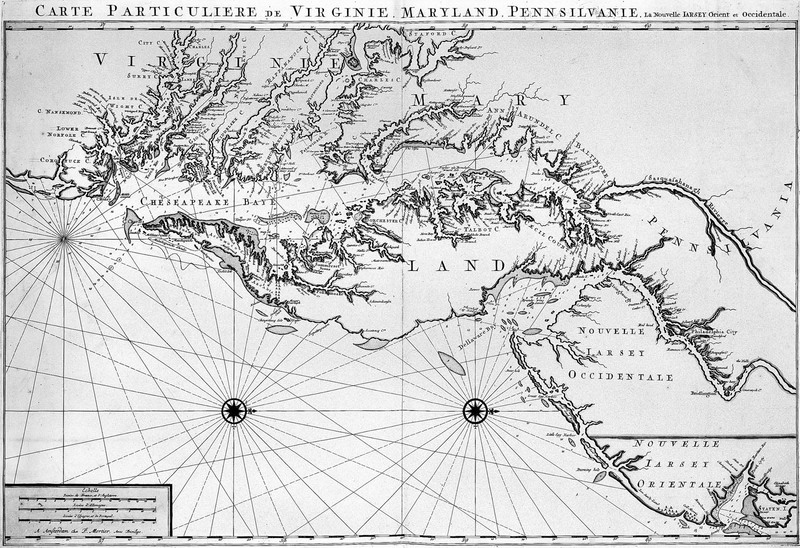 The main source of irritation in the colony was actually with the colony of Virginia to the South. The Virginia Company had had its own Charter revoked in 1624. However, many of the Virginian settlers refused to accept this and disputed the ownership of the lands around the Potomac. This manifested itself in the actions of William Claybourne who clashed with Maryland settlers and he even occupied Kent Island for a while. Religious politics back in England would again effect the colony in 1688 when the Protestant William of Orange usurped the throne from the Catholic James I. The other colonies all quickly declared allegiance to the new king. However, Maryland's messenger died at sea! The message never arrived. This was taken as a deliberate snub by William's court and so Maryland was taken back in to Royal Control. 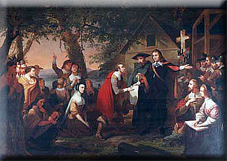 The Calvert family was still allowed to collect their rents from their lands but they were prohibited from the governance and administration of the colony. This lasted until 1715 when two events saw the Calverts reclaim their ownership. First of all Queen Anne died without an heir (not through lack of trying as her 14 dead children would testify). However she was the last of the Stuarts and would be replaced by the House of Hanover. Secondly, Benedict Calvert - the fourth Lord Baltimore - converted to Protestantism. These two opportunities allowed the new King George to hand control of Maryland back to the Calvert family who would hold on to it until the Revolution.